Often considered a "black box", soils and processes occurring belowground are increasingly being acknowledged as major drivers of vegetation dynamics and have thus become an important research frontier in recent years. Changes in hydrological cycles, warming, and rising atmospheric CO2 concentrations are proposed to alter soil-plant interactions and their feedback to ecosystem functioning, yet a synthetic understanding of how plant-soil dynamics will respond to global changes remains missing. At the same time, emerging data suggest that ecosystem resilience to upcoming climatic stresses will largely depend on interactions between above- and belowground processes. Water, carbon and nutrient resources available to belowground compartments determine plant health and growth. Plants also modify these resources via production of organic material, resource allocation belowground, and interactions with soil micro-organisms, such as bacteria and fungi, mycorrhiza and others. These processes impact soil structure, nutrient availability and the water, carbon and nitrogen cycles of soil, which are all linked to and feed back to plant growth, community composition, and resilience to environmental stress. This Research Topic explores the role of the interactions between above-and belowground processes, and their impact on plant and ecosystem resistance and resilience to climate change. Understanding the interactions between soils and vegetation, and how these plant-soil interactions feed back to plant resilience under climate change could open new ways of predicting vegetation dynamics and mitigating the impacts of climate change on vegetation. 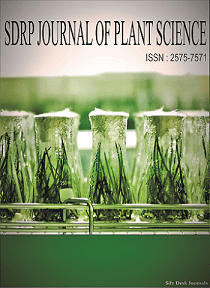 We invite authors to report on experimental, observational and modeling studies that address plant-soil interactions including nutrient, carbon and water cycling, as well as microbial impacts on these cycles in relation to plant responses to changing climate. These include, but are not limited to, nutrient-cycling bacteria, mycorrhiza, and saprophytic fungi. We welcome submissions of the following article types: Original Research, Review and General Commentary.